Weddings seem to be getting bigger and bigger. Not only are brides and grooms spending more money on their big day, but they are also regularly inviting 500, 700, or 1,000-plus guests. If that doesn’t sound like you, you are not alone! Small, intimate weddings still exist, and there are plenty of ways to make your ceremony special without all the extras. From the shores of Cook Island to the pink sands of Harbour Island, intimate destination weddings on Bahamas’ islands are perfect for creating a memorable event. Less expensive. If you’ve spent any time at all researching wedding options, the total price per guest starts becoming clear. Between the favors, invitations, accommodations, and cost of the event itself, holding an intimate destination wedding can significantly reduce overall expenses. More personal. Unlike planning to entertain 250+ guests, engaged couples can focus on making the event more personal by adding a unique touch to the ceremony and reception. When hosting intimate weddings on Bahamas’ islands, there are more opportunities for guests to interact with the newlyweds and each other. Guests feel connected. Holding an intimate affair in a Bahamas wedding paradise has greater significance for guests. Instead of wandering around aimlessly looking for a familiar face, guests feel more comfortable in a small group of friends. When all is said and done, intimate destination weddings inspire guests to unify in support of your new marriage. 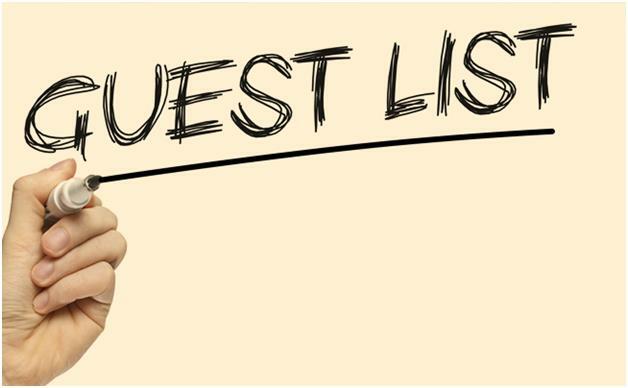 Most couples will find that adhering to these three simple rules pares down the guest list significantly. If concerned about offending others, consider having a small celebration in an accessible location after returning from your destination wedding. Many guests appreciate the opportunity to meet with the new bride and groom, even if attending the wedding was not an option. Schedule group activities. When you invite 100+ guests to a wedding, coordinating group activities can be challenging, if not altogether unsuccessful. An intimate Bahamas wedding paradise differs because group activities help bring people together and take the “fun” factor to a new level. Do something guests have never seen. After narrowing down your guest list to the most important attendees, wow them with a new and exciting experience. Take advantage of your wedding’s tropical location by incorporating local history and customs into the event. Reward your guests with an experience they won’t soon forget by adding elements of originality. However, be careful not to forego proper planning, even for the smallest destination wedding. Add a personal touch. From handwritten notes recalling favorite memories to expressing appreciation for your guests’ attendance, use this opportunity to add a personal touch to your event. Use each place setting as an opportunity to personalize your interaction with every guest. Ensure each guest receives attention. Because you don’t have an endless number of guests to greet and chat with, you’re able to provide focused attention to each person who attends. Spend time individually speaking with guests while showing your appreciation for their attendance. Has experience coordinating destination weddings in the Bahamas. Verify your wedding planner is knowledgeable about weddings on Bahamas’ islands and has references to prove it. The last thing you want is to choose a wedding planner as unfamiliar with the area as you are. Plan for superior service. As your guest list becomes shorter, you’re able to invest in your guests’ experience by providing ample staff to attend to every need. Don’t forget to designate staff whose purpose is to guide guests from one activity to the next and provide information. Works with an established network of vendors in the area. From saving money to guaranteeing high quality service, confirm your wedding planner has a network of local vendors with whom they frequently work. Working with local chefs, florists, and entertainers makes coordinating a destination wedding easier. Spends time discussing your vision. After all, your wedding is yours (and your betrothed’s) to enjoy, so make sure it’s what you really want. Don’t allow a wedding planner to insert their own vision into your wedding plans unless you’re completely stumped for ideas. Instead, choose a wedding professional who will take time to learn what you want and use their resources to make it happen. Waiting until the last minute to hire a wedding planner is a significant mistake made by couples desiring an intimate wedding. Despite its size, a small destination wedding requires careful planning and coordination. 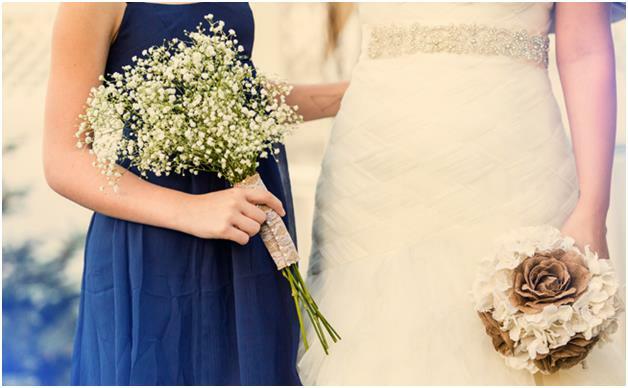 Choosing the right wedding planner to manage your big day is crucial to staying stress-free before, during, and after you exchange marital vows. Our dedicated team of wedding professionals at Chic Bahamas Weddings is committed to creating the Bahamas wedding paradise you’ve always wanted. Whether large and extravagant or intimate and classic, your wedding is guaranteed to be a success when you work with us. Contact us today to begin designing your custom destination wedding.